Designed by DOW Design, New Zealand. 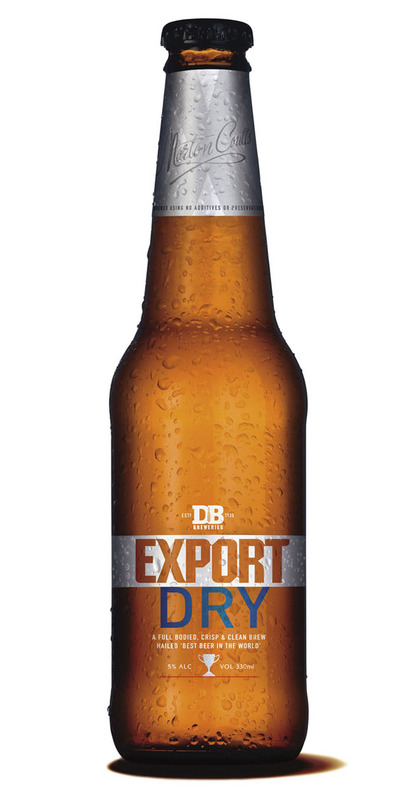 The DB Export family of beers has received a Dow Design makeover in time for the brand’s 50th Anniversary. The DB Export range - now in store - has a fresh and contemporary new look, that also pays homage to the brand’s history. 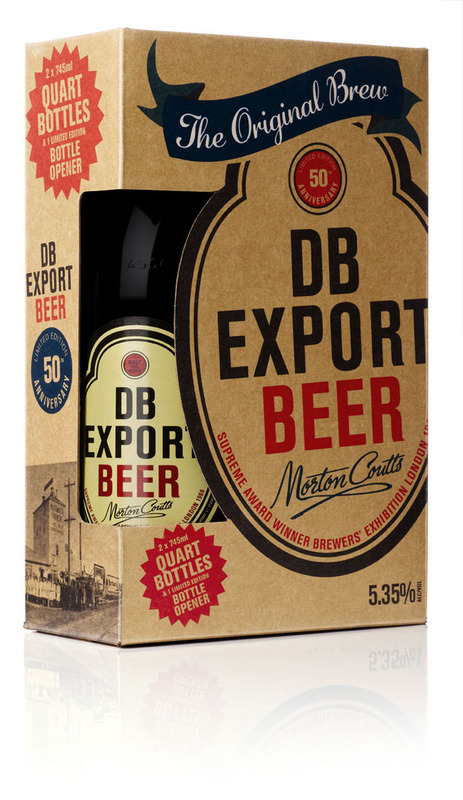 In addition, the original DB Export beer returns for a limited time to celebrate the landmark, revisiting its 1960s look and feel. 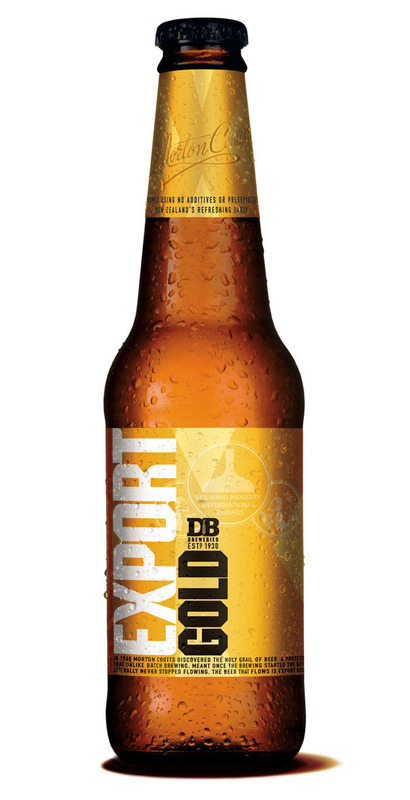 A recent gold medal winner at Belgium’s Monde Awards, the Export Gold label has now moved away from its yellow colour palette and gone back to a classic gold livery. Export Dry has followed the lead taken by Export 33 and had its paper label replaced with a clear plastic one with silver tones. The outer packaging of the beers also have a crisp new look, including an eye catching close-up image of a bottle neck on the end panels of packs. The redesign of packaging across the range creates brand cohesion for the family of beers. This is expected to strengthen loyalty amongst current consumers and also attract new drinkers. 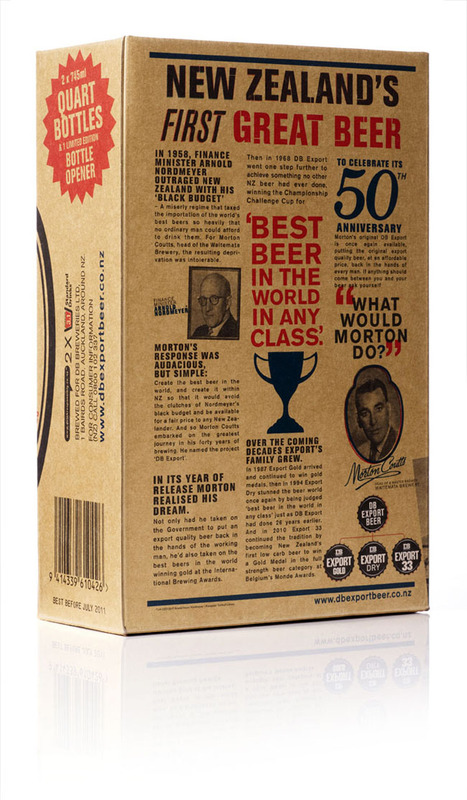 To coincide with the relaunch, an ad campaign set in the 1960s tells the story of Morton Coutts, the founder of DB Export and a pioneer in New Zealand beer brewing. His legacy includes in 1968 winning the ‘Best Beer in the World’ title for DB Export Beer, the same beer that is back for a limited time. 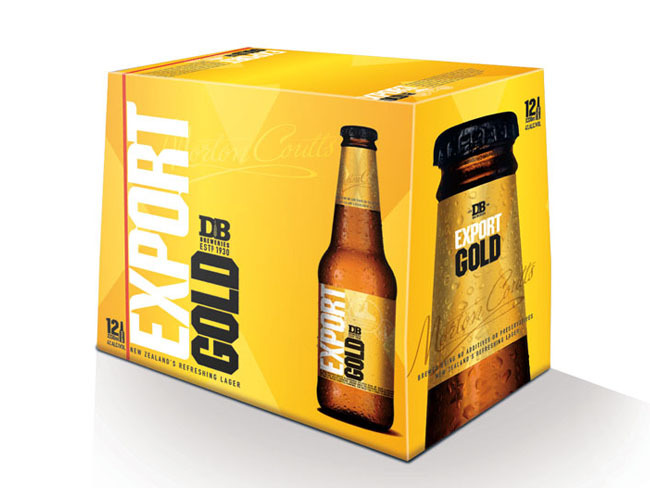 Rebranded Export Gold and Export Dry are now available in bars and supermarkets nationwide. 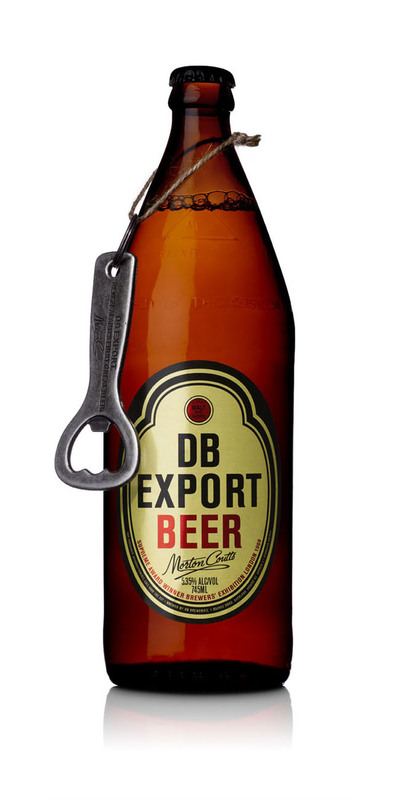 The quart-sized bottles of DB Export, complete with 60s style branding, are available in 300 bars nationwide and the twin packs - with a limited edition bottle opener – are available in supermarkets and specialist stores. 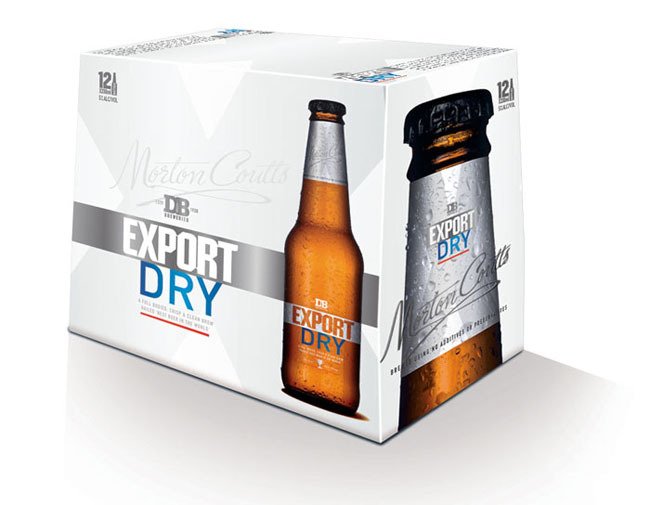 Dow Design’s DB Export offering follows recent successes in rebranding long established local brands such as Anchor, Primo, Fresh ‘n Fruity, Brancott Estate (Montana) wines, Robert Harris and Arano juice. The brand design specialists are also behind the recent redesign of the Alison’s Pantry section of New World and Pak ‘n Save stores nationwide, and are consultants to Auckland’s new Q Theatre.